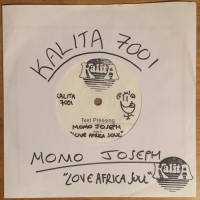 Kalita Records are extremely proud to announce the first ever official reissue of Momo Joseph’s 1980 Cameroonian disco single ‘Love Africa Soul’. Born in Baleveng, Cameroon in 1952, Momo Joseph is known more for his endeavours in acting than for his musical output, having appeared in numerous French films between 1977 and 2000, including ‘L’Africain‘ (1983) and ‘La Haine’ (1995). 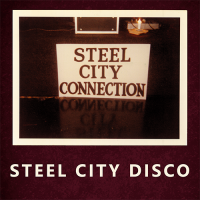 However, his single ‘Love Africa Soul’, originally released in 1980, is acknowledged by many as an outstanding piece of relentless West African disco, and has recently become highly sought-after by collectors and DJs alike. 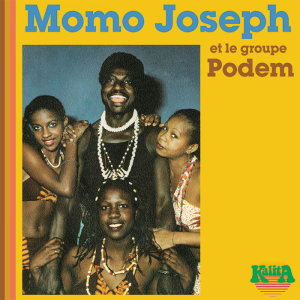 Momo has lived most of his life in Paris, however has always retained a strong connection to his native Cameroon and to other fellow Cameroonian musicians such as Tala A.M. and Manu Dibango. 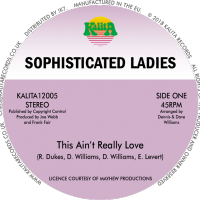 Here we pair the original ‘Love Africa Soul’ with an on-point re-work of the original B side, ‘Cameroun Airline’, courtesy of Mukatsuku’s very own Nik Weston. We hope that this much-deserved re-release helps to shine a light on Momo’s career and musical genius.